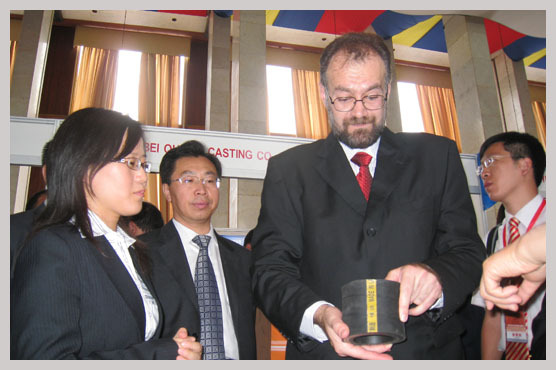 From June 18 to June 21, "2009 China Industry Expo-Venezuela" was held in Caracas, the capital of Venezuela. Sr. Eduardo Sam醤，the Minister of Commerce of Venezuela attended the opening ceremony and expressed warm welcome to the Chinese exhibitors. 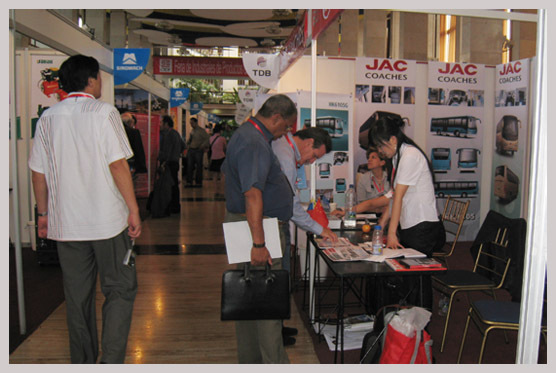 Covering an area of 3,600 square meters, the exhibition attracted over 80 enterprises from more than 10 provinces and municipalities of China, including Dongfeng Motor Group Co., Ltd, JAC Motors, Yutong Buses, Ankai, Camc, Hangzhou Forklift Imp&Exp. Co. Ltd, Hangzhou Advance Gearbox Group Co., Ltd, Zhengxing Wheel Group Co. Ltd. and so on, who displayed their high quality engineering machinery, agricultural machinery, construction machinery, garden machinery, hardware tools, petrochemical and general purpose machinery and equipment, complete sets of equipment for refrigeration, motor vehicles, auto components and parts, electronic devices, daily necessities and etc. At present, Venezuela is China抯 fifth largest trading partner in Latin America. In 2008，bilateral trade volume amounted to US$9.852 billion. Business exchanges between the two countries are also enhanced. We hope that through the exhibition, the Chinese enterprises would have a face-to-face communication with their counterparts to better broaden trade channels, deepen mutual understanding, promote cooperation and seek common development.